Are you sick and tired of feeling sick and tired? Being even the slightest bit overweight can take a major toll on your overall feelings of enjoyment during everyday activities. If walking the mall, cleaning the house or climbing a flight of stairs has become a chore, it may be time to evaluate your lifestyle choices. 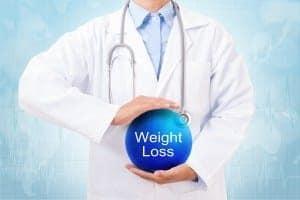 Unlike most other medical weight loss clinics, Dr. Urshan Health and Weight Loss Center addresses the root cause of weight gain for an effective and sustainable weight loss experience. As one of the most successful weight management programs on the market, our proprietary weight loss technology works with your body’s unique needs to deliver fast results*. Whoever said “No pain no gain!” most likely wasn’t a patient of Dr. Urshan’s. Our weight loss system ensures that your uniquely-structured weight loss regimen is formulated based on your body’s needs. You’ll strategically tackle stubborn body fat without over-exerting yourself both physically and emotionally. Once you stop fighting your body through crash dieting and sync with your natural system, you’ll be amazed at how effortless weight loss can be! If you’ve ever considered a physician-led weight loss approach, there’s no better time than today to get started. As one of the area’s leading medical weight loss clinics, we’ve helped hundreds of men and women throughout St. Petersburg, Westchase, Largo, Pinellas Park, Seminole and the surrounding regions achieve their desired goal weight. Contact us today to schedule your complimentary weight loss consultation.